USAC edged Villa Nueva to force the decider. USAC forced 26 Villa Nueva turnovers and outrebounded them 46-30 including a 20-4 advantage in offensive rebounds. The former international swingman Miguel Gonzalez (187-90) orchestrated the victory by scoring 21 points, 8 rebounds, 5 assists and 4 steals. 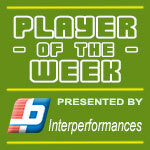 Point guard Alex Juarez (175-93) contributed with 14 points, 8 rebounds, 5 assists and 4 steals for the winners. USAC's coach allowed to play the deep bench players saving starting five for next games. Enrique Samayoa (193-82) replied with 16 points and 9 rebounds and guard Alejandro Carrillo (178-88) added 16 points and 5 rebounds (was perfect 8-for-8 from the free throw line) in the effort for Villa Nueva. Club Force knocked down Laminas to sweep the series. Club Force outrebounded Laminas C. 53-37 including 38 on the defensive glass. 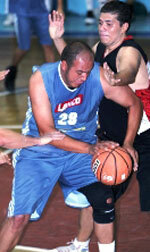 The best player for the winners was forward Hector Chur (179) who scored 29 points and 7 rebounds. Center Helmut Esquivel (196-0) chipped in a double-double by scoring 13 points and 14 rebounds. Four Club Force players scored in double figures. Forward Alejandro Izaguirre (191-87) produced 14 points and 6 rebounds and forward Luis Garcia (198-89) added 9 points and 12 rebounds respectively for the hosts. ELOHIM topped URL to ensure the semifinal berth. ELOHIM dominated down low during the game scoring 60 of its points in the paint compared to URL's 32. They outrebounded URL 57-36 including a 20-9 advantage in offensive rebounds. ELOHIM players were unselfish on offense dishing 21 assists comparing to just 2 passes made by URL's players. Center Bernie Diaz (200-81) notched a double-double by scoring 16 points and 17 rebounds to lead the effort and power forward Oscar Salguero (198-87) supported him with 17 points and 11 rebounds. Four ELOHIM players scored in double figures. ELOHIM's coach felt very confident that he used 11 players which allowed the starters a little rest for the next games. Even a double-double of 10 points and 12 rebounds by Edson Garcia did not help to save the game for URL. 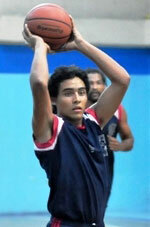 Guard Luis Menendez (179-95) added 9 points and 9 rebounds for the hosts.